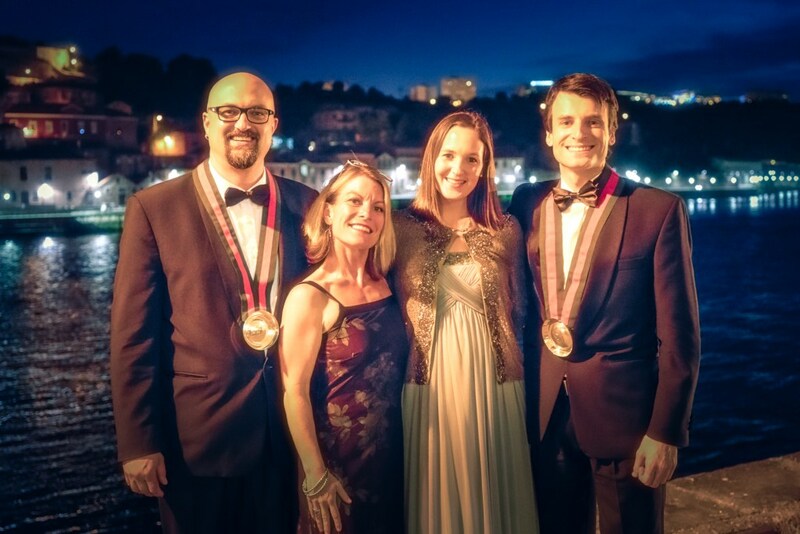 Recently, I was enthroned into the Confraria do Vinho do Porto (Port Wine Brotherhood) as a Cavaleiro (Knight) in “recognition for my dedication and service to Port Wine.” Understandably, I was incredibly honored, but my invitation also came with several questions as to what exactly occurred. For this reason, I wanted to share a short explanation of what the Port Wine Brotherhood is and what the enthronement means to me. Mind you, brotherhoods are not unique to wine in Portugal. There are brotherhoods for many things including: traditional pastries, cheeses, meats, rice and various other gastronomic products – all with the intent of bringing greater awareness to said Portuguese product worldwide. While some brotherhoods are quite old, born of guilds and other associations, others are new and help regions/products to preserve their identity in a world where tradition is often pushed aside in exchange for ease, price and convenience. So how does the brotherhood work? It highlights those who work in Port Wine companies and acknowledges those who promote Port Wine such as journalists, retailers and advocates. Based on your classification, the confraria then bestows a specific title. To be clear, brotherhood is only the official title, there are definitely some of sisters in the ranks as well. To be nominated into the brotherhood your name needs to be put forward by a member of the brotherhood. Only people with the rank of Mestre can nominate a new member and each new nomination needs to be approved by the other Mestres, or more correctly, not objected to. My ‘sponsor’ was Oscar Quevedo from Quevedo Port Wine, a good friend who I am very honored to have nominate me. Cancelário (Vice-Chancellor) – The rank of Cancelário is given to Heads of State who, through their status, bring dignity to the Confraria do Vinho do Porto. The Confraria has 44 Cancelários, including the President of Portugal, the King of Spain, and the King of Belgium among the many Presidents, Princes and leaders of the world who honour this brotherhood by their participation. Infanção (Nobleman) – Attributed to all notable personalities or institutions who make a significant contribution to the promotion and prestige of Port Wine or who merit distinction with this rank due to their personal prestige or high ranking positions. Cavaleiro (Knight) – Are those who merit recognition for their dedication and service to Port Wine and do not find themselves included in the previous ranks. The Confrades Honorarios (Honorary Brothers) wear a bright green and red ribbon from which hangs the Tambuladeira (tastevin), and the ranks of Cancelário and Infanção are presented with the cape and hat. The attire is obligatory whenever representing the Confraria. When you’re inducted, you walk up to the podium and are donned a cape, hat or Tambuladeira based on the category you are invited to join, afterwhich you sign a book and receive your ‘diploma’ signed by the Chanceler and Almoxarife. The ceremony is long and slow, but being held in the Bolsa in Porto, one of the most beautiful locations in Porto, quickly makes up for this. Afterwards, we walk in a procession down the road to the Alfândega where cocktails are followed by a dinner and live music. So then the number one question is: what benefits do you get as a Knight? The answer for me is respect. Beside the handful of special events you’re invited to the real benefit is the respect and recognition of fellow Port wine lovers; the acknowledgement that you contributed in some small way to help Port wine become better known and loved. Port wine has defined so much of my life. From that very first moment my grandfather shared his adventures tasting old Ports in Portugal, I have wanted to come to Porto to see and taste it for myself. When I found the chance to live here and raise my son in the heart of Port wine country, I felt like I had won the lottery. Port wine is a special drink. Something that is truly hard to describe until you visit Porto, and more importantly, the Douro Valley. Living here in Porto, I have come to love this historic beverage more than I thought I ever could. Whenever I find myself driving up the Douro with a new client and showing them Portuguese wines they’re unfamiliar with, I witness their own passion grow. It’s addictive, which is why I love guiding! I can never recreate my first time when my jaw dropped at the Valley’s intensity, but I can re-experience that moment in the eyes of all those I bring here.